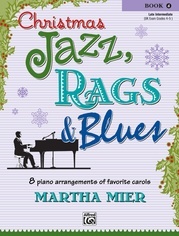 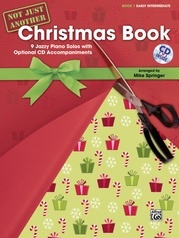 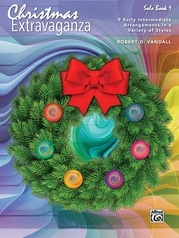 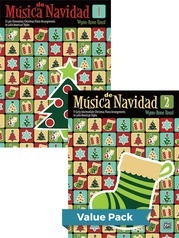 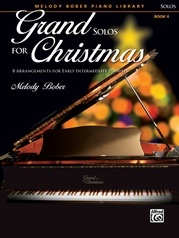 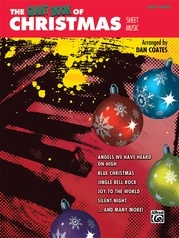 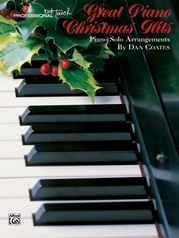 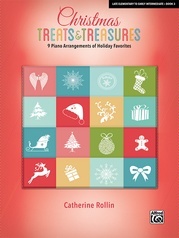 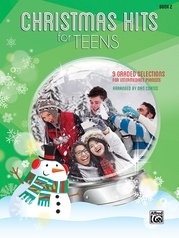 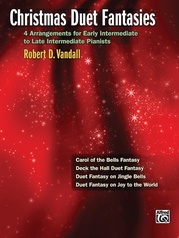 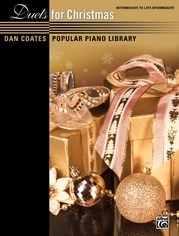 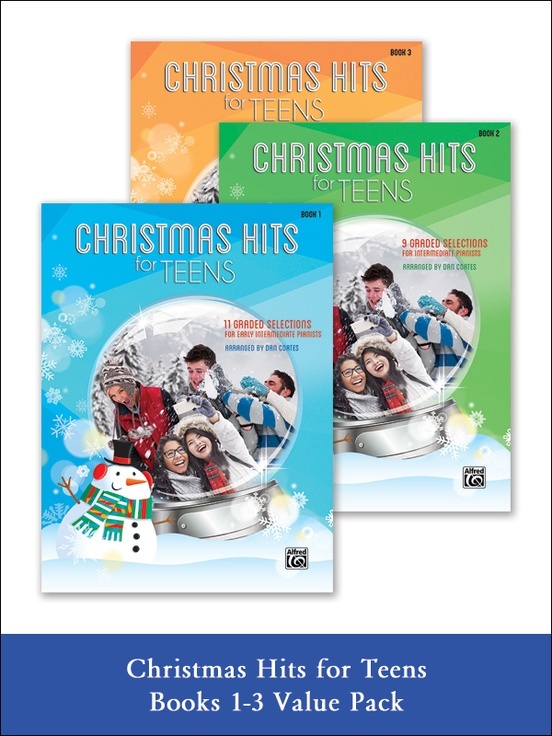 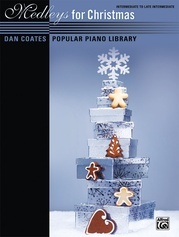 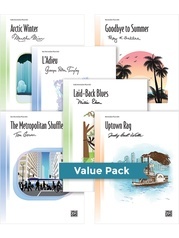 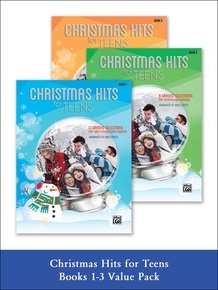 The Christmas Hits for Teens series presents carefully leveled, accessible arrangements for the teenage pianist. 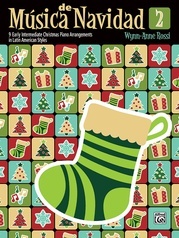 Book 1 titles: All I Want for Christmas Is My Two Front Teeth * Away in a Manger * Deck the Halls * Feliz Navidad * God Rest Ye Merry, Gentlemen * Hark! 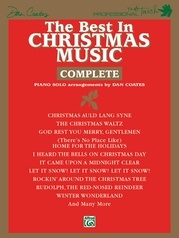 The Herald Angels Sing * Joy to the World * O Christmas Tree * Rudolph, the Red-Nosed Reindeer * Santa Claus Is Comin' to Town * Toyland. 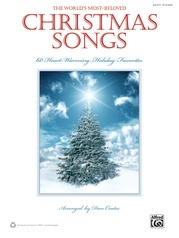 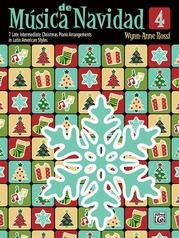 Book 2 titles: Angels We Have Heard On High * The Christmas Waltz * Frosty the Snowman * Jingle Bell Rock * O Come, All Ye Faithful * O Little Town of Bethlehem * We Wish You a Merry Christmas * What Child Is This? * Winter Wonderland. 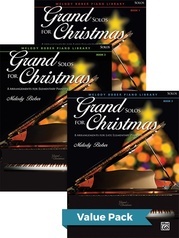 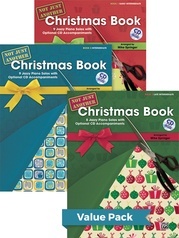 Book 3 titles: The First Noel * Good King Wenceslas * Have Yourself a Merry Little Christmas * (There's No Place Like) Home for the Holidays * I'll Be Home for Christmas * It's the Most Wonderful Time of the Year * O Holy Night * Up on the Housetop.